A 70 acre outdoor pursuits centre with bunkhouse accommodation in the Brecon Beacons situated at the top of the Swansea Valley. 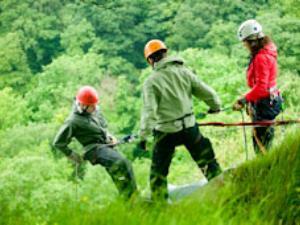 Suitable for groups wanting to do outdoor activities. 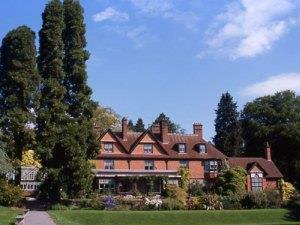 Hergest Croft Gardens lie in the heart of the Welsh Marches with stunning views towards the Black Mountains. 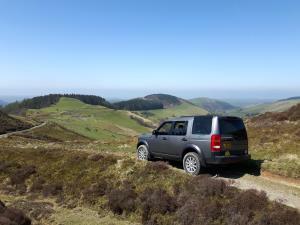 Cambrian Safaris provides excursions into the Cambrian Mountains and of all of Wales in a Land Rover Discovery. 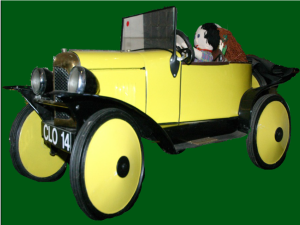 Tours can start from your accommodation, Devils Bridge, or Aberystwyth. 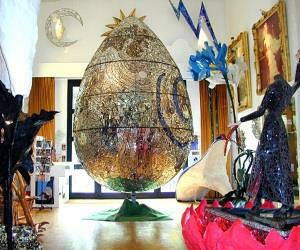 “The nicest and friendliest Museum in the UK” - visitor ALMoS is a wonderland, a fantastical jewelled treasure trove in Mid Wales and houses a glittering selection of artist sculptor Andrew Logan’s signature works. Cors Caron is one of the two remaining large remnants of active raised bog in Wales and is an important refuge for plants, insects, birds and mammals. The bog covers a huge area of around 816 acres and is 6km in length. Clock And Barometer Shop. 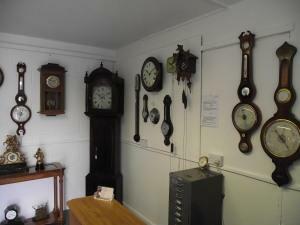 Providing the complete clock and barometer quality service and advice. Repairs and restoration, free quotes given. 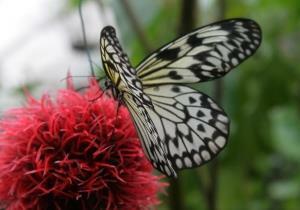 Come and see some of the largest and most colourful butterflies in the world! We exhibit species from all over the tropics. Our wildlife garden has many varieties of plants specifically for butterflies. 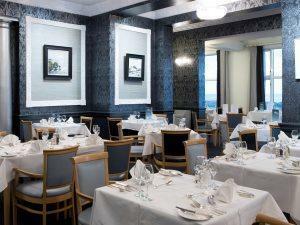 The Trefeddian Hotel serve everything from a three course dining room lunch to more relaxed light bites, sandwiches and delicious homemade afternoon tea in the hotel lounges or on a sunny day on our stunning sea view terrace. 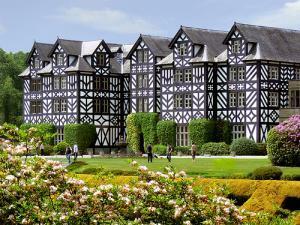 Gregynog Hall is surrounded by 750 acres of grounds containing many different landscapes including Grade 1 listed formal gardens. 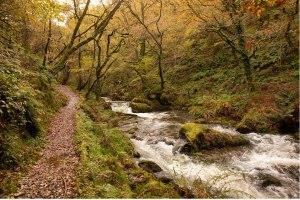 The RSPB Ynys-Hir nature reserve is wildlife haven in the heart of Mid Wales. Located within the UNESCO Dyfi Biosphere, Ynys-hir has miles of trails, 7 view hides and has been awarded Ramsar, Natura 2000 and SSSI status. The Usk & Railway Inn is a well stocked country inn with Beers, Lagers, Real Ales, Cider,Spirits, Malt Whiskies and Wines from around the world and a good selection of soft drinks, including tea, coffee and hot chocolate. 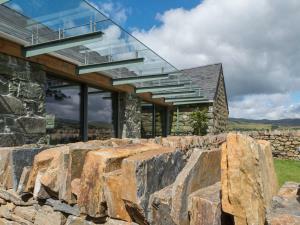 Yr Ysgwrn is not your typical Welsh farmhouse. By protecting and enhancing the site the aim is to share the story of Hedd Wyn and the universal messages of Yr Ysgwrn to all who visit. Aberystwyth is a lively university town and a home-from-home to 9,000 students. With over 300 Undergraduate courses to choose from and a high level of flexibility to adapt your learning to meet your individual needs. The Dyfi Forest is located mainly to the north of the Afon Dyfi between Dolgellau to the north and Machynlleth to the south. Dyfi is a 6000ha forest - a spectacular landscape well worth exploring. 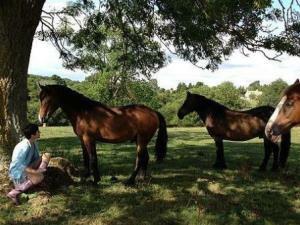 Enter the Heart of the Natural Horse...take a guided journey into the very core of the horses’ being… seeing, feeling and breathing their world as if it were your own.